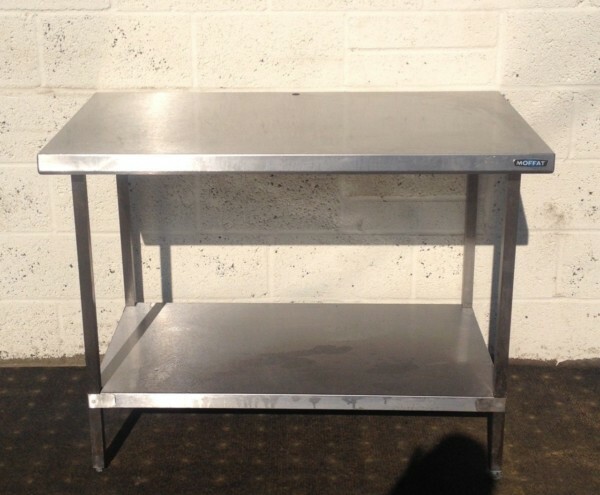 All stainless steel compact centre preparation table on adjustable feet. Light enough to be transported to venue kitchens to add an advantageous prep surface. 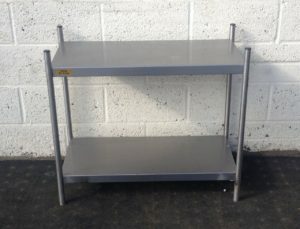 Ideal for a central location in the kitchen as it allows chef to work both sides.